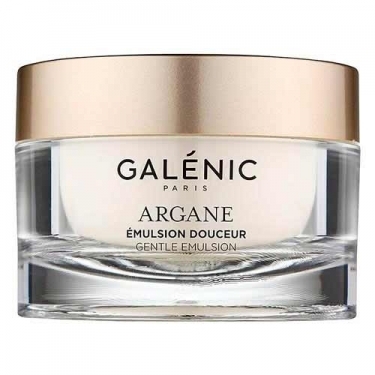 DESCRIPTION: Argane Émulsion Douceur from Galénic is a moisturizing and protective cream with a rich, velvety texture for dry skin. 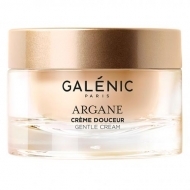 With a light texture, specially elaborated to nourish and regenerate the normal and combined masks and provide to the skin an absolute daily comfort. 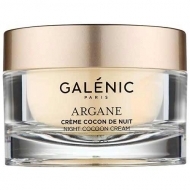 It combines the moisturizing, regenerative and antiaging properties of argon oil, to the antioxidant function of vitamin E, which protects the skin from free radicals (tobacco, pollution, stress). 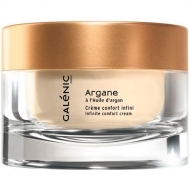 Argon peptides stimulate cell renewal. Beeswax, shea butter and sesame oil have highly nutritious, restorative and protective properties.